A disabled campaigner is one of five blind and visually-impaired people taking pioneering legal action against their local councils over the failure to make voting in elections accessible to them. Graham Kirwan, who is visually-impaired, has been trying to persuade Dudley council for nine years to make the adjustments that would allow him to vote independently, and privately. Now he is one of five sight-impaired people who have enlisted legal firm Leigh Day to take up their cases, following complaints they made through the disability charity RNIB about problems they encountered in the run-up to the general election on 7 May. The five were either unable to vote in the election or had their right to a secret vote compromised. Kirwan and the other claimants say their councils unlawfully discriminated against them under the Equality Act, and also breached the Human Rights Act, the UN Convention on the Rights of Persons with Disabilities (UNCRPD), and the Representation of the People Act. Article 29 of the UNCRPD, on participation in political and public life, protects the right of disabled people to “vote by secret ballot in elections”, and aims to guarantee that “voting procedures, facilities and materials are appropriate, accessible and easy to understand and use”. The Representation of the People Act requires polling stations to provide a large print version of the ballot paper for reference and a tactile voting device to enable electors with visual impairments to vote independently. But Kirwan and others say the system does not work in practice because the large print text is often not big enough, and the tactile voting device is not fit for purpose. Kirwan said Dudley council refused to send him his voting information via email, rather than in the post, and failed to provide CCTV magnification equipment at his polling station that would have allowed him to read information about the candidates, because the large print information available was not large enough for him to read. Even if that had been available, he believes he would still have been forced to ask someone else to help him cast his vote because the tactile voting device does not always work correctly. Council threats that he could be fined £5,000 if he failed to fill in its inaccessible forms had already helped cause severe depression and anxiety, for which he is still being treated. Dealing with the council, he says, changed him from “a confident blind person to one who went into rages, always angry [and]became anxious, could not sleep and found it difficult to communicate with others”. Kirwan, who represents Dudley Centre for Inclusive Living on accessible information issues, is now 55 years old, and has never been able to vote, because of his impairment. He told Disability News Service (DNS): “When you vote, it is private. I am denied that right. If I go and try and take somebody with me, somebody else could vote differently on my behalf and I wouldn’t know. He says he will not try to vote again unless he can do so electronically. Although there has been legal action around physical barriers to voting, this is believed to be the first involving the inaccessibility of the voting process to blind and partially-sighted people. Kate Egerton, a discrimination solicitor in Leigh Day’s human rights department, said: “Some of the five had problems registering to vote, some had problems with the postal vote, and some had problems in their polling stations on the day. She said they would be asking the courts to force the local authorities involved to make the voting process accessible to blind and visually-impaired people, in time for next year’s local elections. 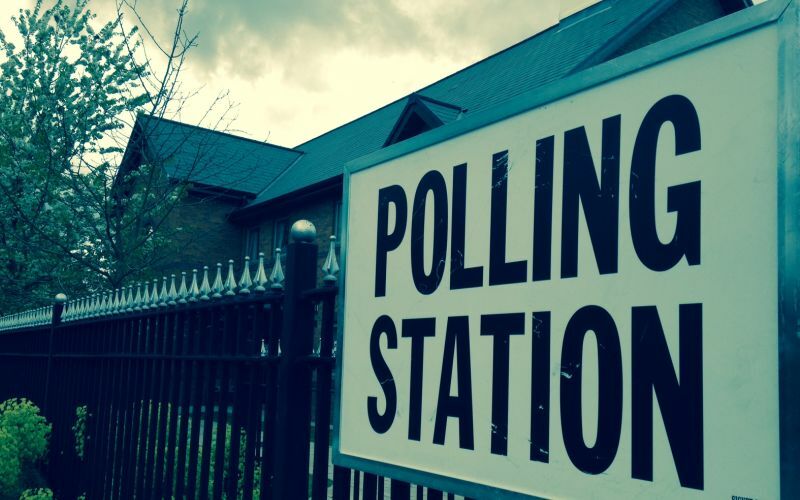 Phillip Tart, Dudley council’s strategic director for resources and transformation, said: “Ballot papers are printed in the format as specified by the legislation relevant to each individual election. “All polling stations are provided with magnifiers and selector templates to aid partially-sighted people to vote independently, [and]electors with disabilities can also be assisted by a companion or the presiding officer. Earlier this month, another legal action taken by Kirwan over the right to accessible information led to NHS England publishing its first accessible information standard (AIS). The agreement to publish the AIS came after Kirwan took the NHS to court over its failure to provide his health-related information in a format that was accessible to him, via email rather than by post. DNS first reported on Kirwan’s complaint two years ago, after NHS England agreed to set up an advisory panel to draw up the new “information standard”, as a result of his legal case. He said the result was “brilliant” and would make a “massive, massive, massive” difference to tens of thousands of disabled people with sensory and learning impairments. It will mean that all organisations providing NHS or adult social care will have to produce information in a service-user’s preferred format by 31 July 2016, and provide them with communication support if they need it.